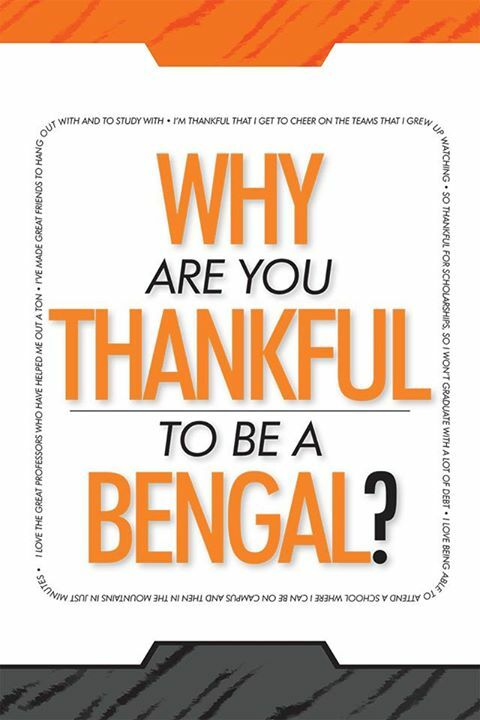 What is a Bengal Booth, you ask? 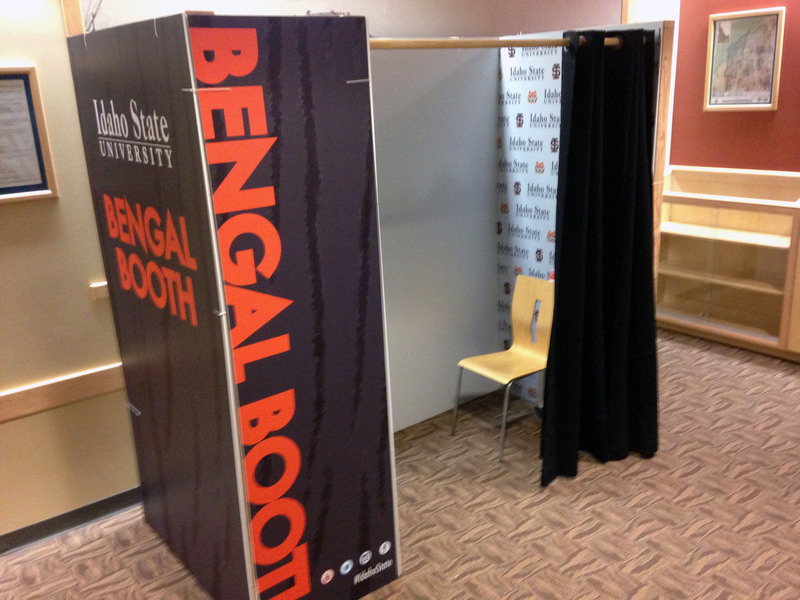 Imagine an old school photo booth, decked out in orange and black! We wanted to create a way to capture video snippets of our students without the pressure and intimidation of sitting in front of a videographer in a studio. 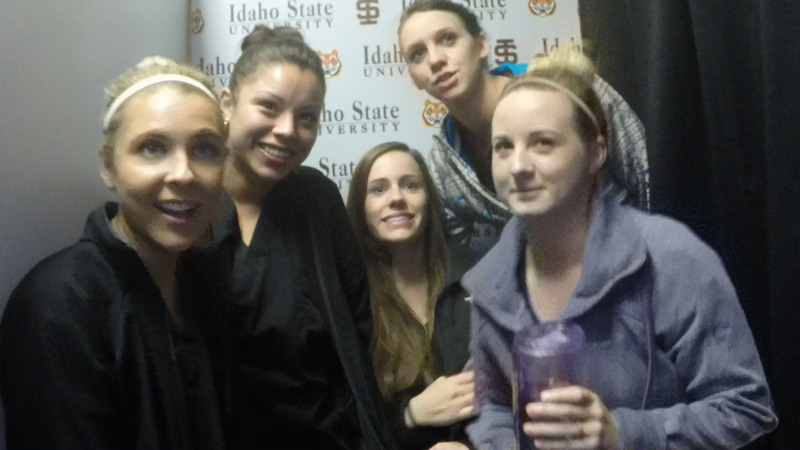 The booth was outfitted with a GoPro camera and flat-screen television so students could see themselves in the booth. We set the camera to automatically record so we could capture students in action. We made the booth available at various locations across campus and at different times of the day, based on anticipated traffic. Results: We captured some great video clips featuring everyone from our president to our university mascot Benny. We released several of the individual clips during the week of Thanksgiving and used the remaining segments to create a heartfelt video for the Idaho State University Foundation’s end-of-the-year appeal efforts. The feedback we’ve received on the project has been positive. Students loved seeing their friends in the videos. The reaction from our alumni wasn’t exactly what we expected, but it definitely seemed to pull at the heartstrings. We had expected them to be touched by the students in the video. Instead they commented on how the students reminded them of themselves when they were in college. They really seemed to relate to them. As far as social media engagement, we had 9,181 views, 272 likes, 14 comments and 15 shares on Facebook. The foundation’s video was viewed 282 times. We actually built the booth ourselves with some assistance from an alumnus with construction experience. We designed it to be sturdy enough that we can repurpose it for future use. Total cost of the project was $1,905. Shoot me an email if you want more details on the booth. It wouldn’t be hard to duplicate. We did the project for less than $2,000.